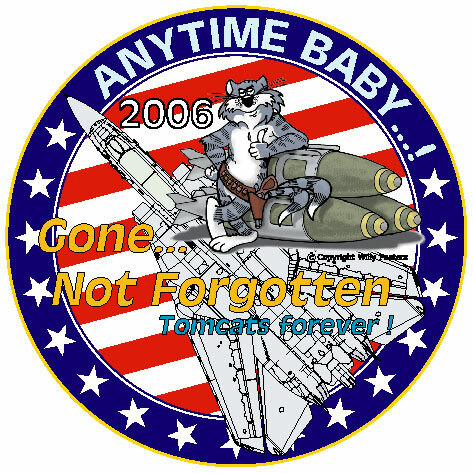 I had this artwork for the Tomcat and figured it would make a nice T-shirt as well. Before I make the huge investment of having them printed I like to test the waters and see if there would be any interest. I already received a price quote from my printer and the investment would be substantial because of the many colors of the design. I composed a sample of how it would look that may be seen on this page, together with a larger image of the logo artwork itself. 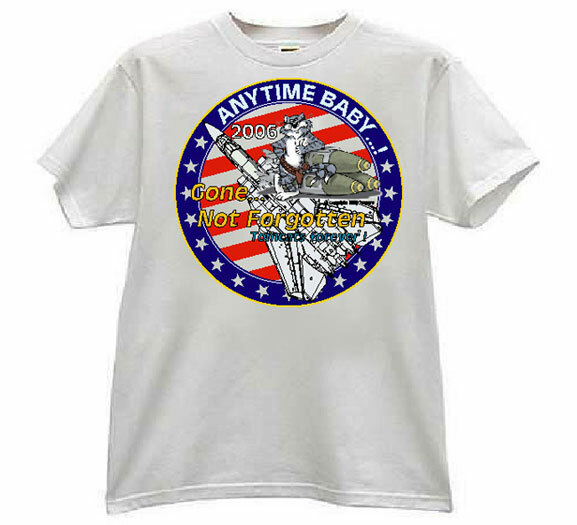 Any people interested can email me with a brief message at wapeet@msn.com.